Municipal water in Toronto, Ontario, Canada meets or exceeds government standards, but that doesn’t always mean it meets your own personal standards. Home water testing, however, is the first step in making your personal water supply better. Here at RainSoft, we specialize in water testing and treatment. We’ve been in the industry for more than 60 years, and we’ve helped millions of customers make their tap water better. Our experts can pinpoint the issues that are making your water less desirable than it could be – and then help you find a solution to address them. By testing your water for specific metals, minerals, and chemicals, RainSoft can help you find out which elements need to be addressed. Based on your individual water testing results, we can recommend an appropriate solution that’s customized to your family’s needs. Our company offers a full range of water treatment options, including whole house water conditioners, drinking water systems, and problem solving water filters. Water testing is the first step in finding the right treatment system for your home, and your authorized RainSoft dealer can guide you through the process with ease. No matter which water treatment option you decide is best for your lifestyle and your budget, you can invest with confidence when you purchase RainSoft systems. 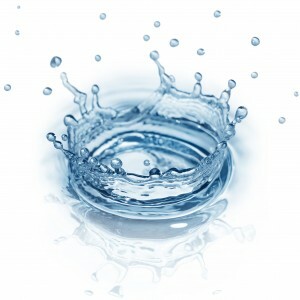 Our water treatment products have been Tested and Certified by the Water Quality Association. Installation is always handled by a trained technician, and every purchase is backed by a Limited Lifetime Warranty. To learn more about our in-home water testing services or to request a complimentary appointment, call our Toronto, Ontario, Canada authorized RainSoft dealers today.